For a printer friendly copy of this Client Bulletin, click here. The final regulations for the Family and Medical Leave Act are out and will take effect January 16, 2009. What follows is a summary of the highlights of the changes. Last January, Congress enacted the National Defense Authorization Act, which included two new types of FMLA leave for “military” situations. The NDAA was primarily an appropriations bill, and Congress did not define its FMLA provisions well but delegated that authority to the U.S. Department of Labor. The new regulations provide some welcome definition to these new types of leave. NOTE: Although the Final Regulations do not take effect until January 16, Constangy recommends that employers immediately make good-faith efforts to comply with the regulations pertaining to "military" FMLA leave. The NDAA provided that the "serious injury or illness" provisions were effective upon enactment of the NDAA (January 2008) and that the "qualifying exigency" provisions were effective when the Department of Labor issued regulations. Therefore, if an employer receives a request for either of these types of leave between now and January 16, the conservative, lower-risk approach would be to act as if these regulations were already in effect. “Qualifying Exigency” Leave. This is essentially leave for an employee to handle affairs related to the call of a spouse, parent, or child to a contingency operation. This leave is available to covered family members of members of the National Guard or Reserves, or of retired military, who are on active duty, called to active duty, or are notified that they will be called to active duty in support of a contingency operation, as that is defined in various statutes governing military service. This type of leave is not available to regular members of the Armed Forces, and it is normally not available to members of state militias, unless they are called up in support of a U.S. operation. * Qualifying exigency leave counts against the employee’s 12-week per 12-month total allotment of FMLA leave. * Intermittent and reduced schedule leave are available for qualifying exigencies. * The employer may request documentation of the need for qualifying exigency leave. “Serious Injury or Illness.” This second type of “military” FMLA leave is available when an employee needs time off to care for a covered relative with a serious injury or illness incurred in the line of duty “while on active duty” that “may render the servicemember medically unfit to perform the duties of his or her office, grade, rank, or rating.” The NDAA said that this type of leave was available for a maximum of 26 weeks “in a single 12-month period.” The statute did not clearly state whether “single 12-month period” meant once in an employee’s career, or once every 12 months. “Serious injury or illness” leave is available to spouses, parents, children, or “next of kin” of all active members of the Armed Forces, the National Guard, and the Reserves, and all members of these services who are on the temporary disabled retired list. This leave is not available for relatives of servicemembers who are on the permanent disabled retired list. Because “serious injury or illness” leave is available for a total of 26 weeks in a single 12-month period, the “leave year” for this type of leave is measured differently from the “leave year” for all other types of FMLA leave. The leave year for “serious injury or illness” leave must begin on the first day that the employee begins this type of leave, even if the employer uses another type of leave year for other FMLA leaves. This requirement will make leave calculations very complex, but it is hoped that they will be rare. * "Serious injury or illness" leave that is not taken in the “single 12-month period” is forfeited (in other words, it cannot be carried over from year to year). * Intermittent and reduced schedule leave are available for this type of FMLA leave. * The employer may request certification of the familial relationship and of the medical condition; however, the "injury or illness" certification form is different from the medical certification form used for standard FMLA leave requests. * Although an employer may seek “clarification” of information on the covered servicemember’s medical certification, it may not seek a second or third opinion, or request recertification. Serious Health Condition. These regulations were not changed significantly. There were some clarifications, but most of them reflected FMLA advice we’ve provided for quite some time. For example, the regulations clarify that inpatient treatment for any reason (even cosmetic plastic surgery) qualifies. * the second visit must be within 30 days of the first visit. * "Chronic condition" requires at least two visits to a health care provider each year. * where a contract provided that the employee would be rehired after the break in service. If the employer wishes, it can be more liberal in considering periods of prior service as long as it treats all similarly-situated employees the same way. * An employee who needs intermittent leave for medical treatment must make a “reasonable effort” to schedule the treatment in a way that does not unduly disrupt the employer’s operations, and the employer has the right to require this. * An employee who fails to qualify for an attendance bonus solely because of FMLA leave is not entitled to receive the bonus, provided that the employer treats employees on similar leaves the same way. * The employer may contact the employee’s health care provider directly to seek clarification on a fitness for duty certification. * Light duty cannot be counted toward the employee’s 12-week allotment of FMLA leave. * The employer may require that the fitness for duty certification affirmatively state that the employee can perform the essential functions of his or her job. * The employee can be required to pay for a fitness for duty certification, as well as travel and expenses incurred in obtaining the certification. * The employer may delay job restoration until an appropriate fitness for duty certification is received, unless the employer failed to inform the employee that the certification was going to be required. 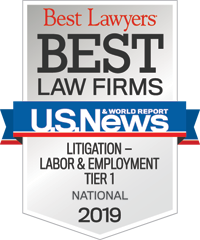 * Prospective waivers of FMLA rights (for example, as a condition of hire) remain invalid; however, waivers as part of severance or settlement agreements are valid and do not require approval by the Department of Labor or the courts. * All of the old FMLA forms have been tweaked. In addition, the Department of Labor has developed completely new forms to certify that employees are eligible for “qualifying exigency” and “serious injury or illness” military FMLA leaves. * Under the old rules, an employer was to request medical certification (assuming it chose to do so) within two business days of the employee’s request for FMLA leave. Under the new regulations, that deadline has been expanded to five business days. The employer must provide notice to the employee of the consequences for failure to provide an adequate medical certification. * The employee must provide the medical certification within 15 calendar days of the employer’s request, unless the employer allows more time or unless the employee cannot obtain the medical certification despite diligent, good-faith efforts to do so. * The employee is also responsible for providing any required authorizations to his or her health care provider (including authorizations under the Health Insurance Portability and Accountability Act). * If the certification is incomplete or insufficient for some reason, the employer must provide written notice to the employee regarding the additional information needed to make it complete/sufficient. The employee then has seven calendar days (with the usual exceptions) to cure the deficiency. If the employee does not cure the deficiency within that time (assuming the exceptions do not apply), then the leave may be denied. As stated, the foregoing is only a summary of the changes to the FMLA regulations. For more information, please register for our Client Webinar on Thursday, December 4, review the regulations in their entirety, or contact the Constangy attorney of your choice. Carrie Cherveny, Cara Crotty, Tim Davis, Alyssa Morris, Brian Nuedling, and Kerri Reisdorff contributed to this Client Bulletin.